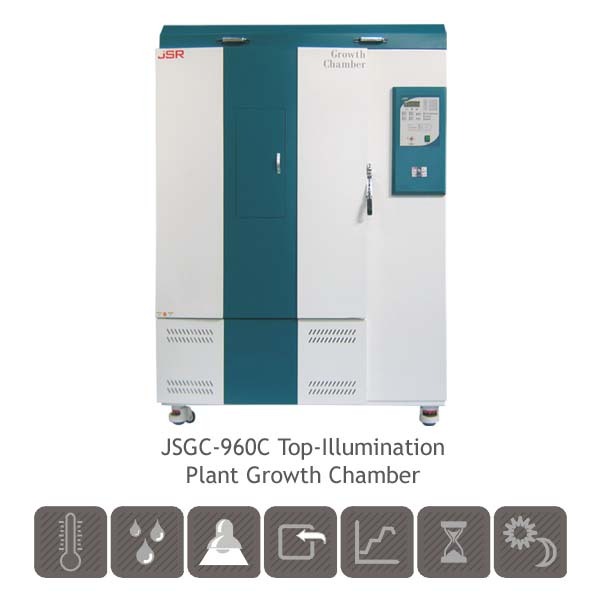 JSGC-Series Top Illumination Plant Growth Chamber provides reliable controlled climatic condition of temperature, humidity, lighting and CO2 concentration Ideal to growing plant, plant tissue culture or any other laboratory experiments needs controller climatic simulation. 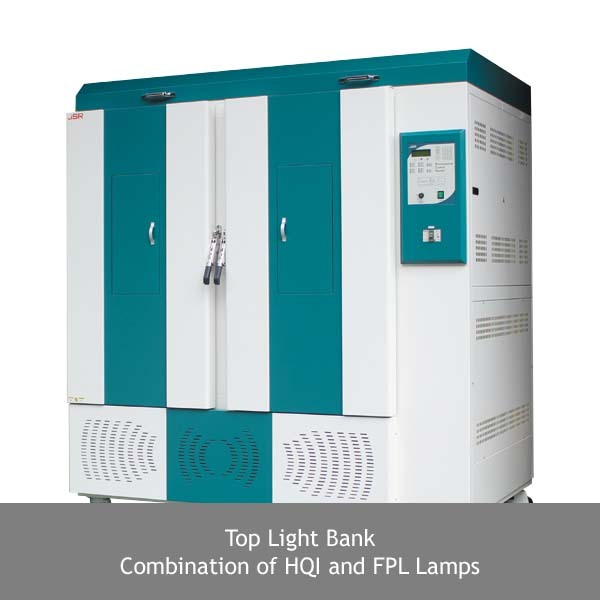 Various choice of capacity from 432L ~ 1512 L suitable to growing larger plants up to 1.2 m. Light bank on the top with HQI and fluorescent lamps provide light intensity up to 40,000 LUX. 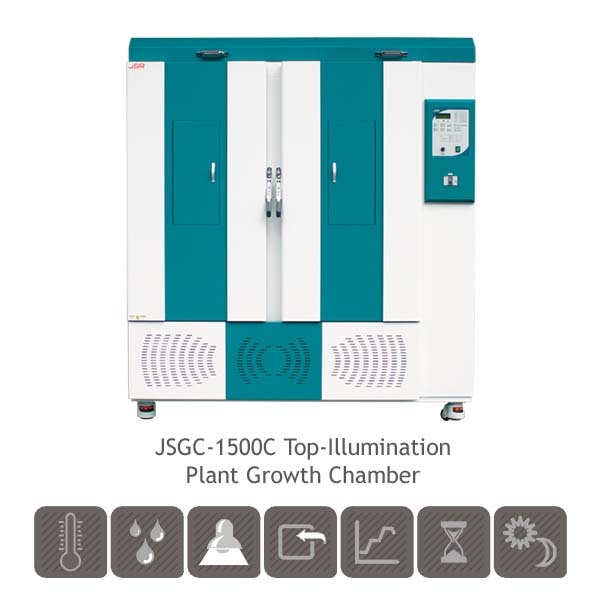 Door glass window for easy observation of sample during experiment. 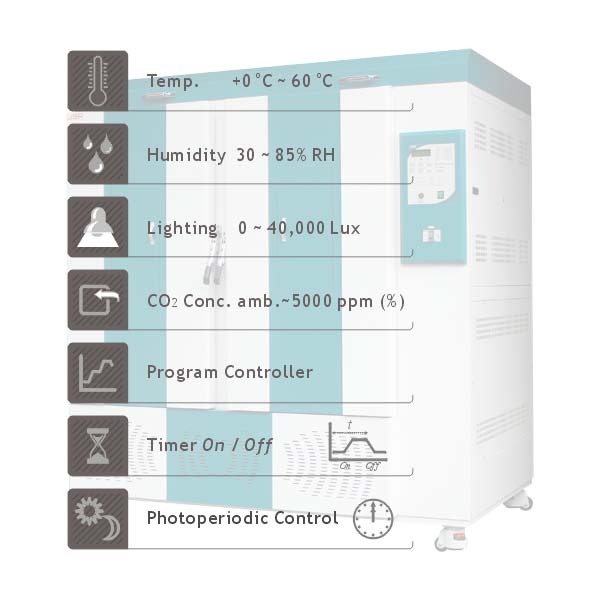 Analog system cut-off heater 10% above set temp.